E40D Transmission Package for use with the Factory Ford Intercooler in 1993-1994 factory turbocharged Ford pickup trucks. Includes new transmission oil filler/dipstick tube for intercooler installation. E40D Transmission Package for use with the Pulse Intercooler in 1988-1994 Ford F-Series pickup trucks. E40D Transmission Package for use with the Pulse Turbo in 1994 Pulse turbocharged Ford vans. 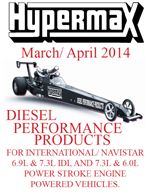 Hypermax performance valve body provides firm shifts, without increasing line pressure and fluid temperature. Calibrated for 215-300 horsepower applications. Hypermax performance valve body provides firm shifts, without increasing line pressure and fluid temperature. Calibrated for 300-350 horsepower applications. Hypermax performance valve body provides firm shifts, without increasing line pressure and fluid temperature. Calibrated for 350-400+ horsepower applications.